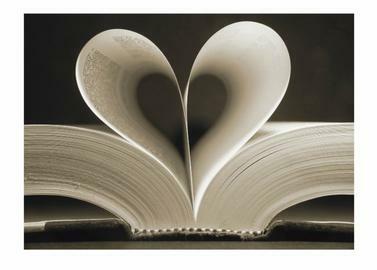 For the Love of Reading, Learning and Sharing! Good morning to YOU! I hope your week has begun on a happy and loving note ~ and if it has not, then you know what you need to do, right? Change your thoughts and tell yourself that it’s a bright, happy Tuesday morning! Ta Da! Yup, it’s as simple as that when you try. You aren’t your circumstances, you have free will and you have the choice to be happy or sad in this very moment. Pick Happy! Pick Loving! Pick Goodness! And pick me out a new book to read! You know I love to share what I find to be incredible books and movies that move me ~ dare I say, SHIFT ME! In fact, MoJo http://www.momentumofjoy.wordpress.com gave me my last one which I wrote about the other day, but as I went back into my archives, I’ve written about a bunch of books which I find inspiring to read ~ and just plain ol’ good for the soul. But I’m fresh out of ideas! I’ve read more books than this, but at the moment, I need something special, something new and I know you have the answer! So please take a moment and share a book or two that you’ve read that you enjoyed! I love all kinds of books so please don’t feel restricted! Thank you! Happy Tuesday to YOU! Shine On and Keep Reading! A bit of good reading…for the Holidays! There are times in life when we just need a feel good story, one that will make the holiday stress fade away and bring back the real meaning of Christmas cheer. I want to introduce you to my favorite author whom I just found about a year ago. Walking through the library last year, I saw a book nestled in with the other holiday books. I brought it home, read it cover to cover, in one night being so involved with the story that I didn’t care that I had things to do the next day. Frankly, I was hooked on Richard Paul Evans! I flew back to the library the next day and found every book I could by him and read them all cover to cover with happy abandon! Now that the holiday stress is upon us, you may feel a need for a bit of calm, a bit of quiet and a bit of love in this crazy world! I have the answer for you ~ Richard Paul Evans’ books! You can find them in your local library (if someone hasn’t beat you to it) or you can order them on Amazon and get them in 2 days! You won’t go wrong with any of his books, but I just bought and read in 2 days (b/c I am a full-time Mom, wife and I do have to bring in the bacon with my SendOutCards business) his latest because I buy them on Amazon to give away when I see someone who needs a little pick me up! You can too! Just click on the books to order if you wish! for Mom and a few friends as Christmas gifts this year. His books are perfect for plane/car rides, before bed relaxing moments and for those times when you just need a little extra holiday cheer and love. I even read his books for teenagers and now my son is reading the Michael Vey series as well. If you have a teenager in your life, this is a great pick as well. This was the first book and the 2nd in the series is which will be under our tree this year (for my son and for me to read since I have yet to read the 2nd book in the series). And if you’re not about Christmas, there’s the Walk Series which again, I read in no time because his books are quick and easy to read, but highly enjoyable! For me, I need a bit of extra caring this holiday season ~ for some it is a sad time, a time to remember those who have passed and to never forget that we are blessed with the PRESENT of PRESENCE in the here and now! So if you’re looking for something special, think about curling up with a good book that will feel like an old friend telling you a heartfelt story that will make you happy that you are here! I copied his autobiography from Amazon in case you want to know more about the author! 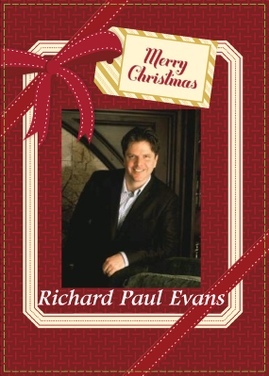 When Richard Paul Evans wrote the #1 best-seller, The Christmas Box, he never intended on becoming an internationally known author. Officially, he was an advertising executive, an award-winning clay animator for the American and Japanese markets, candidate for state legislature and most importantly, husband and father. The Christmas Box was written as an expression of love for his (then) two daughters. Though he often told them how much he loved them, he wanted to express his love in a way that would be timeless. In 1993, Evans reproduced 20 copies of the final story and gave them to his closest relatives and friends as Christmas presents. In the month following, those 20 copies were passed around more than 160 times, and soon word spread so widely that bookstores began calling his home with orders for it. His quiet story of parental love and the true meaning of Christmas made history when it became simultaneously the #1 hardcover and paperback book in the nation. Since then, more than eight million copies of The Christmas Box have been printed. The Emmy award-winning CBS television movie based on The Christmas Box starred Maureen O’Hara and Richard Thomas. Two more of Evans’s books were produced by Hallmark and starred such well-known actors as James Earl Jones, Vanessa Redgrave, Naomi Watts, Mary McDonough and Academy award winner Ellen Burstyn. He has since written 10 consecutive New York Times bestsellers and is one of the few authors in history to have hit both the fiction and non-fiction bestseller lists. He has won three awards for his children’s books including the 1998 American Mothers book award and two first place Storytelling World awards. Evans’s latest book, The 5 Lessons a Millionaire Taught Me About Life and Wealth, is now available. As an acclaimed speaker, Evans has shared the podium with such notable personalities as President George W. Bush, President George and Barbara Bush, former British Prime Minister John Majors, Ron Howard, Elizabeth Dole, Deepak Chopra, Steve Allen, and Bob Hope. Evans has been featured on the Today show and Entertainment Tonight, as well as in Time, Newsweek, People, The New York Times, Washington Post, Good Housekeeping, USA Today, TV Guide, Reader’s Digest, and Family Circle. Evans lives in Salt Lake City, Utah, with his wife, Keri, and their five children.